Fall Beauty & Wellness Secrets! After a rainy and short summer on speed dial and a plunge-into-school-season fall, I feel both shocked for the pool days gone by and semi-alarmed for the horn-of-plenty displays! While I wish it was time for vacation already, there’s plenty of new, natural and botanical fall beauty and wellness tricks to encourage gentle self-care in our every day to make the transition into autumn a smooth one. Check out these finds from my latest segment for ABC’s Good Morning Washington. We’re beaming sunrays at Good Morning Washington! With cohost Eileen Whelan. I’ve long been obsessed with The Better Skin Co.’s truly moisturizing Mirakle Cream, and now they have a new skincare product that’s all-natural nourishment will wow any part of your body that’s suffering from dry, parched skin. The Amaze Balm is really rich in consistency with a base of shea butter and beeswax to help trap moisture to the skin, but also boasts a smooth buttery texture due to oils of coconut, avocado and evening primrose among other natural ingredients. I’ve applied mine at night after cleansing my face and woke up with relaxed, deeply hydrated cheeks. If I’m not burning Japanese incense or washing with essential-oil soaps, I’m dabbing drops of aromatherapy oils on my pressure points to create a custom scent– that’s how much I believe in aromatherapy. This new line from Gurunanda of 20 essentials oils featuring rare ingredients from flowers, fruit and herbs is sourced from native farms from around the world. They can be mixed and matched to create your own perfume or air freshener for your room, home or car and can suit the mood you are striving for minus the chemicals: uplifting Bergamot, balancing Mediterranean Geranium, revitalizing Clary Sage, mood enhancing Jasmine Kiss, etc. After a long summer of sun exposure, my skin literally thirsts for help! These natural, powerful anti-aging serums are the perfect way to protect the skin from the signs of aging and work beautifully in tandem after facial washing and before moisturizer. This serum goes on so lightly but does multiple duties the botanical way while I’m still waking up. It contains hyaluronic acid to tackle fine lines and hydration, apple stem extract for gentle exfoliation, and camellia as a powerful antioxidant. I feel like despite best efforts and slathering my skin with sunscreen, come September my freckles and spots are a shade darker. Enter this all-natural anti-aging face serum packed with vitamins to boost plumpness for skin's regeneration. Main ingredients include Black Cumin Seed Oil—which they claim is one of the richest on earth to create a more youthful glow by morning and Vitamin C to help with fine lines, those darn age spots and more. Just the other day my husband said he wished he had a time for a massage, and I agreed! With our busy schedules, it’s near impossible to find the time to finish joint laundry. This new line aims to recreate a spa-like atmosphere in your home and smells so luxurious you may never want to emerge from a deep state of relaxation. It features highly fragrant botanical herb essences from four French regions including mandarin orange, lavender, cypress and jasmine and includes bath oils, body milks, body oils, scrubs, a hand cream and more. I love the body oil for instantaneous absorption and the body milk or lotion will come in so handy during the cooler months. You may have heard a lot about how gut health is the key to a number of good things including great digestion, a bolstered immune system from the inside out, the secret to fantastic skin and more. 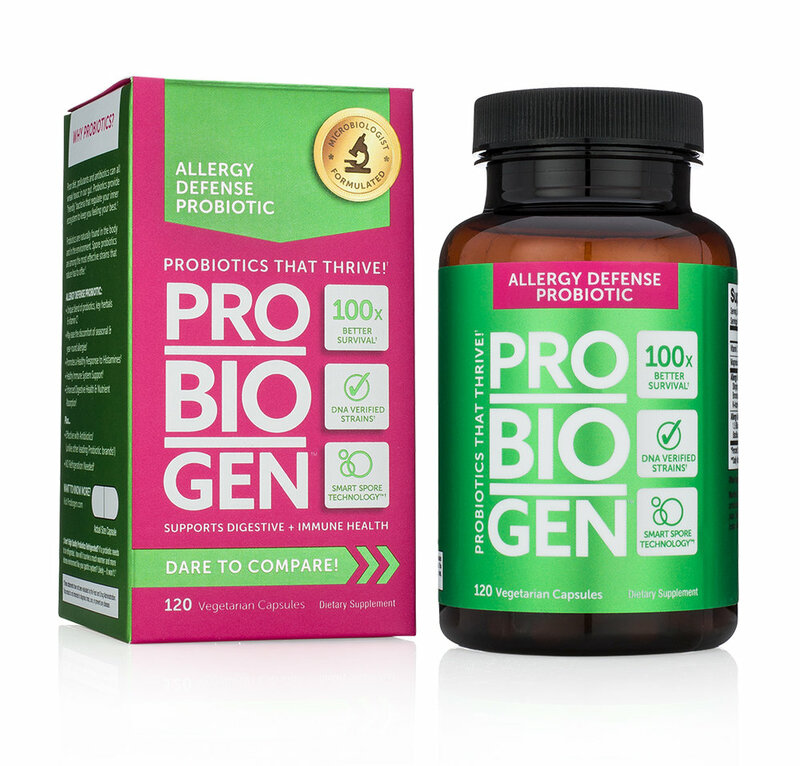 So this new, all-natural probiotic caught my attention, as it suggests that its probiotics survive 100% better in the body than other brands and thus obviously performs better upon arrival at your gut. A Women’s Daily version supports a healthy urinary tract and vaginal flora while an Allergy Defense version attempts better immune health to ease seasonal allergies. I regularly take probiotics and in sampling noticed a definite shift in my intestinal regulation. Also the no gluten, soy, dairy-free, non-GMO and vegetarian capsule is a plus. To see these products in action, watch the ABC Good Morning Washington segment! Prices reflect time of publication; product samples were received for editorial testing; as an Amazon Associate, I earn from qualifying purchases.